“French manufacturer Renault, has been making cars since 1898, so it will be ideally placed to assist the French challenge with getting around the archipelago,” the team said. 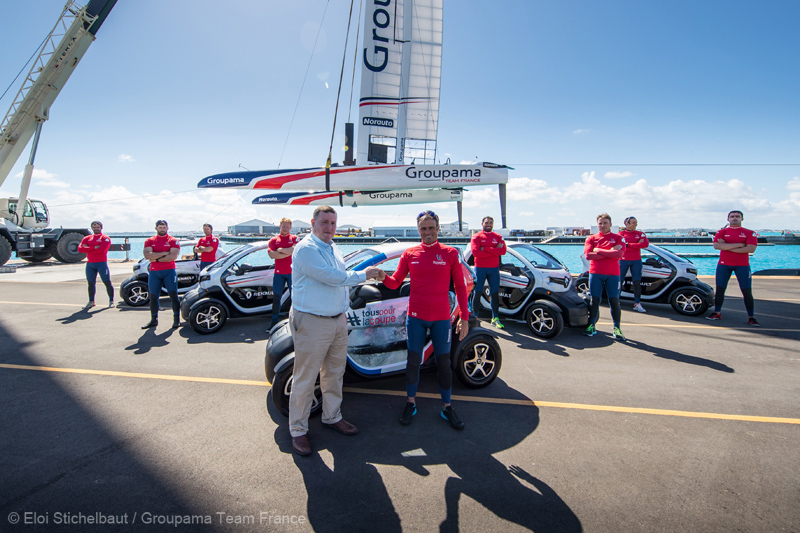 “Renault is taking on the role of supplier to the French team competing in the 35th edition of the America’s Cup. 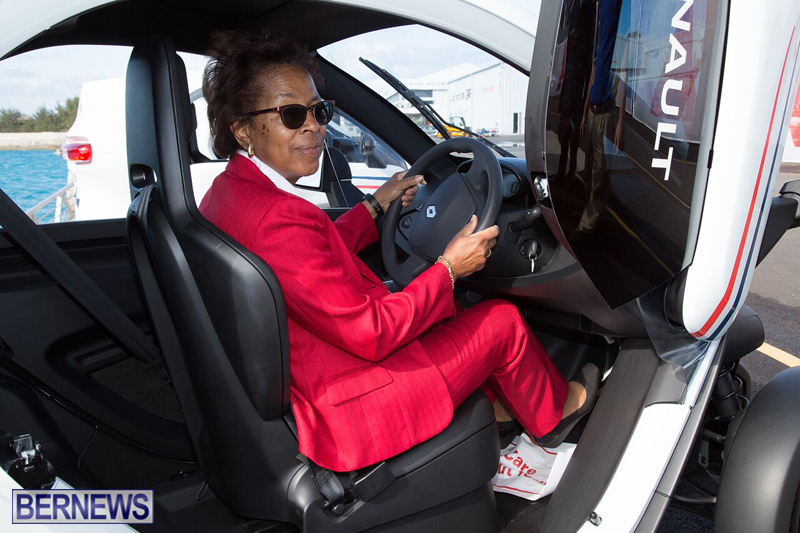 “Twizy is easy and enjoyable to drive, very safe, totally silent and with no emissions in use. 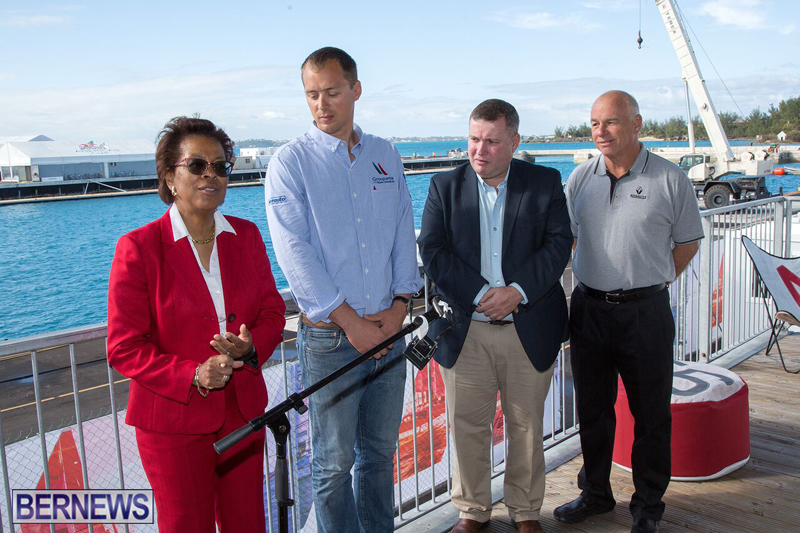 Its large openings enable unrestricted views across the fabulous landscapes that colour the archipelago,”said Juan Duque Restrepo, Director of Importing Countries in the Americas. Louis Viat, Head of Logistics at Groupama Team France, “The Renault Twizy is the best possible alternative to public transport and hiring out scooters, whilst providing an independent, safe and efficient mobility solution for getting around Bermuda. 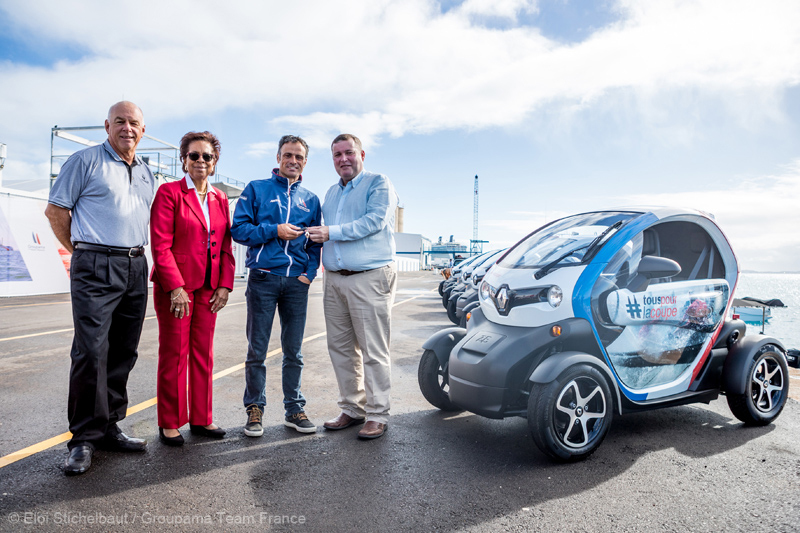 “We are very proud to be the first to use this solution in the archipelago, as well as promoting the positive impact of electric vehicles aimed at protecting the surrounding nature”. 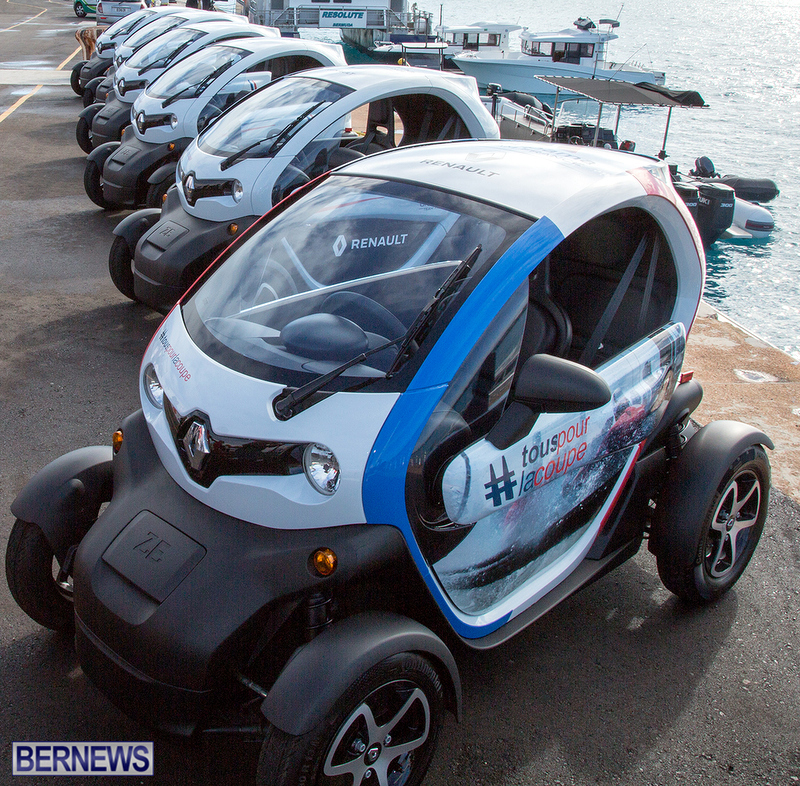 Earlier today, Minister of Tourism, Transport & Municipalities Michael Fahy noted that the Motor Car [Minicar] Regulations 2017 came into effect today, with the Minister saying the “introduction of minicars marks a new era in Bermuda’s transportation history”. So these things have been on the road in major European cities for 4 years now, meeting all necessary safety standards in the EU, but somehow you seem to think they are not safer than a scooter? SMH! For Real! Lol… get a life buh. Where you been living? 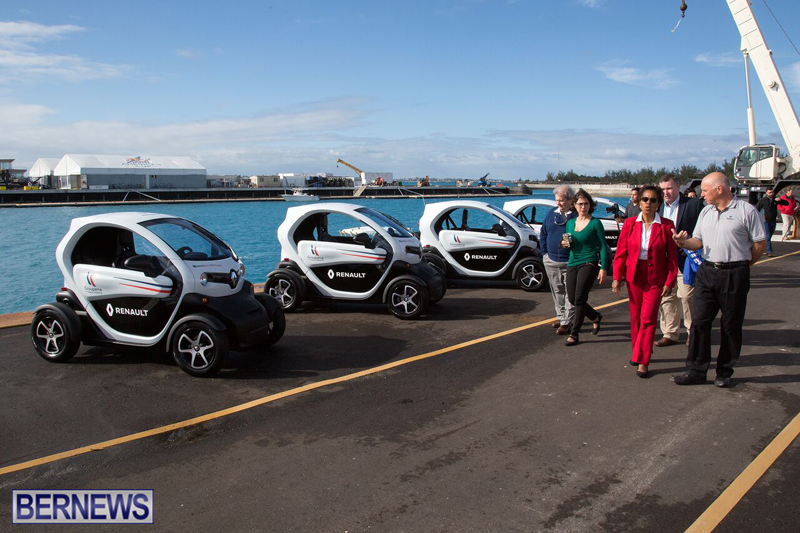 you think you gonna get all these wealthy people on this island riding around on mopeds? You only have so much public transportation, Mini buses and taxis to go around. Wondering if the “high net worth” visitors will want to be seen in a 5-17hp egg on wheels when locals are driving BMW’s (including 2, 7 series V8s), Benz’s, Velosters large suv’s, an Escalade,the Hummer and don’t forget Hell’s Tourists on full sized 1500+cc motorcycles riding off the cruise ship. The only death trap would be from some careless motorist plowing into the vehicle. Let’s give this some time, I think. See how people manage. How the vehicles handle weather, hills, etc. Hope they have spare parts on hand. Or have they thought that far? Dont Disrespect V’s like that. Right? Me, too! I want one so bad! Where do our guests rent them from?? Let the Car rental market begin!! Why can’t you read for yourself. 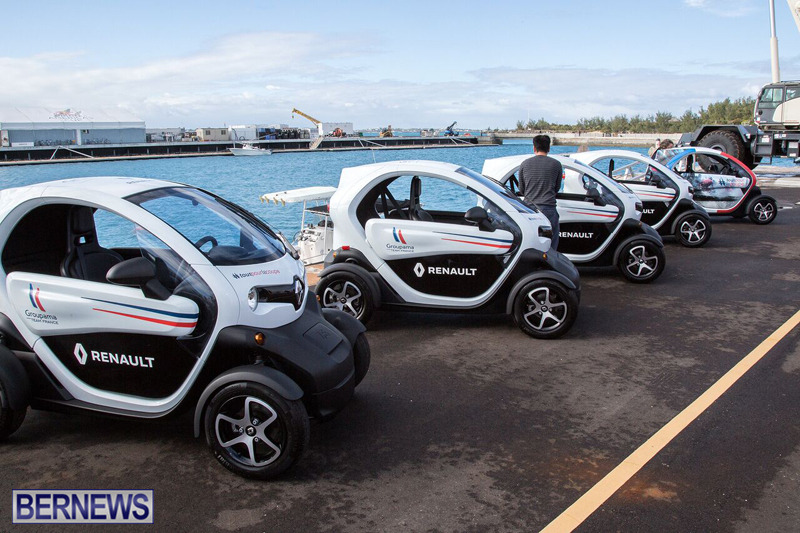 These vehicles are for rental. Where did Mr. Fahy lie? He might have wanted these to be for private use too, but the taxi association kicked up so much for the rental use, private use was not an issue. They have a license plate similar to a rental bike, red and white. OK? 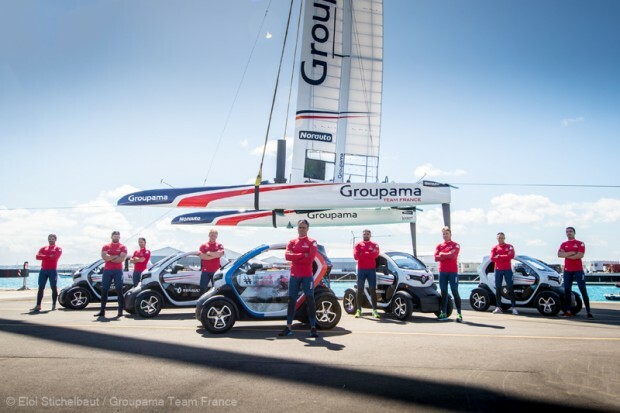 If ‘private use was not an issue’ and surely the taxi association don’t care about locals driving them, why are they only for tourists (and Team France) then? The minister should turn herself into the nearest police station for operating one in clear contravention of the tourist only legislation, the law is the law. These vehicles were given to the French team by Renault. How is that a rental. Everything in this article about rentals seems designed to deflect from that point. Seriously? This is how you write? I wouldn’t rent you a skateboard, you can barely read, let alone be trusted in a vehicle. Watch and see. 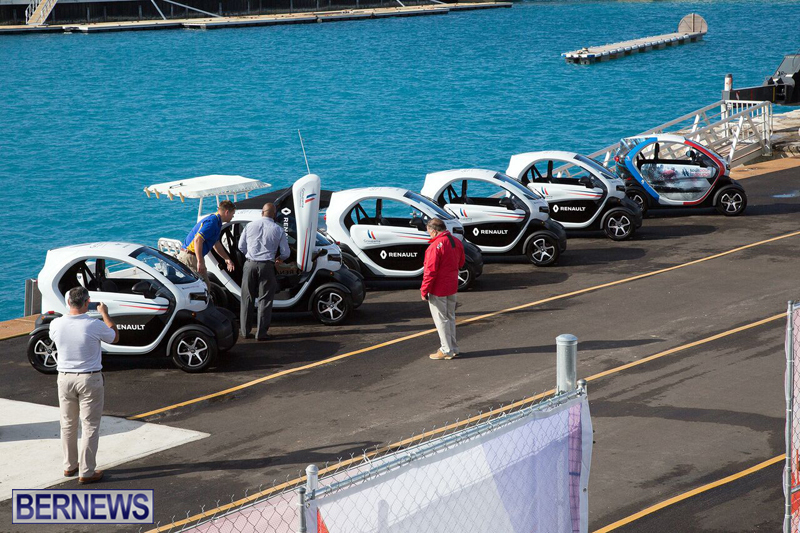 These are great for Bermuda. Wasn’t the law change for minicars for hire only? 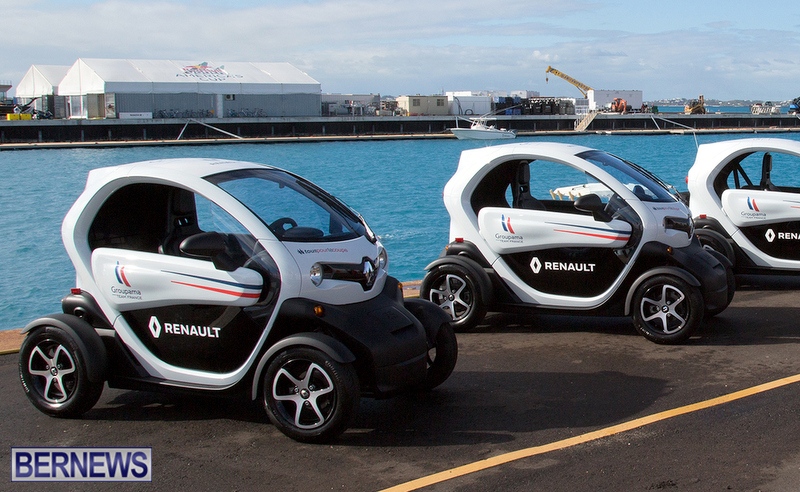 How is Renault and the French team allowed to operate these on the Island? Was there a special law allowing it? 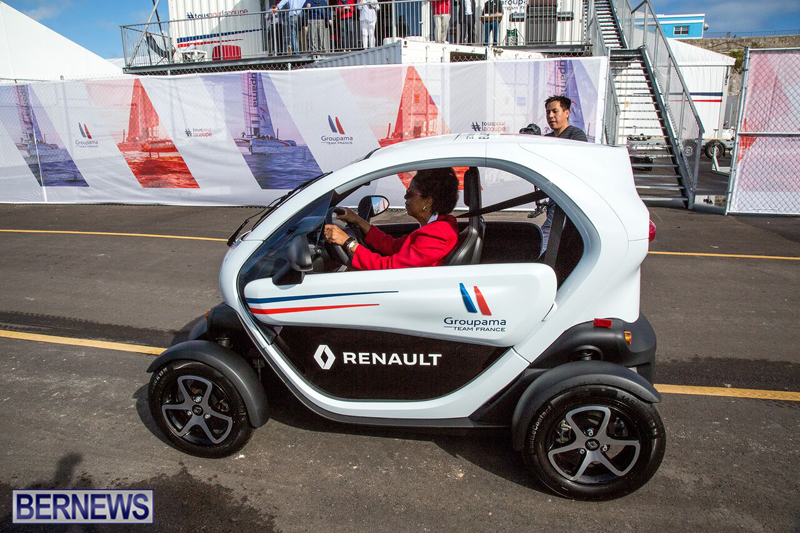 Local mechanics can’t test drive them either so French specialist test drivers will be brought in to stay within the legislation. I thought Hind was out of season or restricted. Amazing that some are posting online a recent video showing a tourist on a rental cycle involved in an RTC. 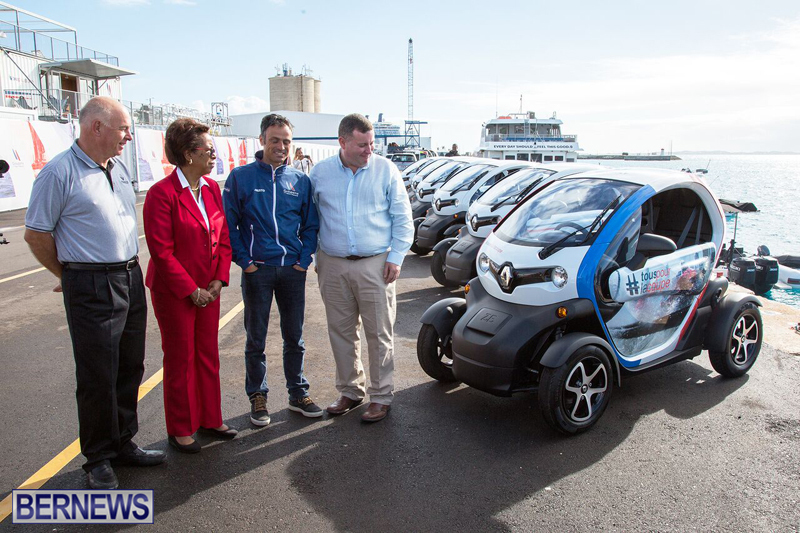 They are commenting and complaining (along the lines of)…”can you imagine what will happen when they can rent 4 wheels.” Totally narrow minded, politically motivated and have complete disregard for peoples safety…. They use these in St Bart’s and the people there love them. A lot wealthier place than Bermuda. I have driven cars in 7 seven countries. I can go to Europe and rent a Porsche or a Mercedes Benz or a 4wd Audi. I can go to the USA and rent a Cadillac. I can go to Florida and rent or buy a Hummer or a Jeep Grand Cherokee , the vehicles are covered by proper insurance. 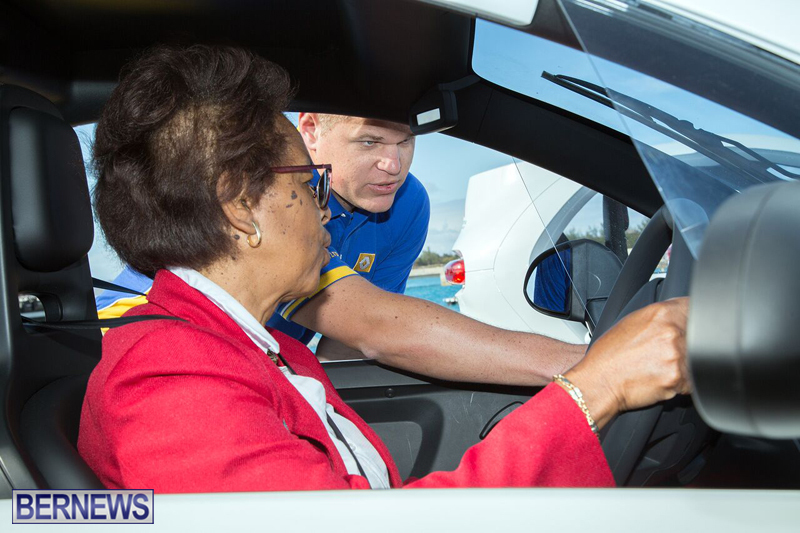 Our Bermuda roads signage and traffic laws are supposed to meet international standards. Unfortunately some of our visitors have driven for 50 year or more, can not come here and rent a regular half way decent car even with a standard or international license and many have driven for 50 year or more, our cars are no fighter jets. We have a developed negative reputation here which I am not ry proud of.Our Politicians are to busy”in fighting” is now treating our visitors like second class citizens, no wonder the go else where. Politicians ! YOU HAVE TO GIVE TO GET! WHAT HAS HAPPENED TO THE RED CARPET. ?